Tree work can be seen in two ways, a dangerous job that pays a decent return to an otherwise unskilled person with a strong back and a high tolerance for personal risk — or — a challenging profession for highly skilled, trained and experienced people with a healthy appreciation for the risks involved and a clear science-based and methodical strategy to minimize them. Hiring an arborist certified through the International Society of Arboriculture (ISA) ensures you have a highly trained, qualified person who has kept up with professional tree care practicse/standards and safety regulations. The field of arboriculture offers certifications and accreditations which have their associated training and educational recertification requirements. There are professional standards, occupational safety standards, equipment maintenance schedules, and gear rating and replacement protocols. Knowledge: A quality tree care company should, at minimum, be staffed with Certified Arborists or Arborist trainees under a CA's supervision. This ensures a minimum knowledge base. These men and women have been tested on tree identification, physiology, roping, rigging, equipment safety, aerial rescue, and professional conduct. They all must participate in training to keep their certification, and as a general rule, take pride in their profession. Knowledgeable tree care professionals can educate a client about the trees on their property. Proactive inspections can catch minor insect, soil, and disease issues before they become major problems. When you hire a 'tree guy', you may have retained one or two individuals with experience doing tree work. 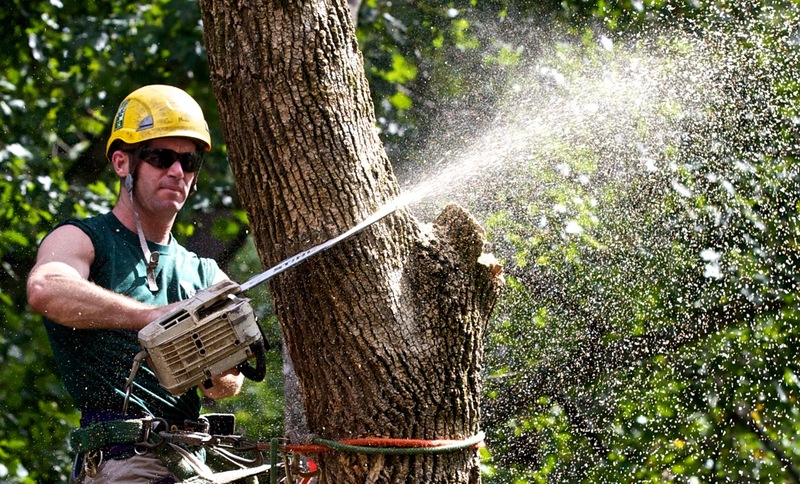 That experience may consist of on-the-job training, observation, and what has been passed on from the person's mentor including topping, wound paint, climbing spikes, and cavity filling (practices that don't hold up to scientific testing).None of which are accepted practies in the arboricultural field. Quality: The quality of any work is a reflection of one's devotion to it. You will never meet anyone more devoted to the professional and safe treatment of trees than an ISA certified arborist. When a contractor underbids a project, costs must be recouped somewhere. That is where corners are cut, staff are underpaid or unqualified, the job is hurried and poorly coordinated, and safety is compromised. When a job is bid correctly, the equipment and manpower necessary to do the job are factored in, and the final result is something everyone can be proud of, both as a service provider and consumer. Safety: Most of the reputable tree care service outfits are safety obsessed. 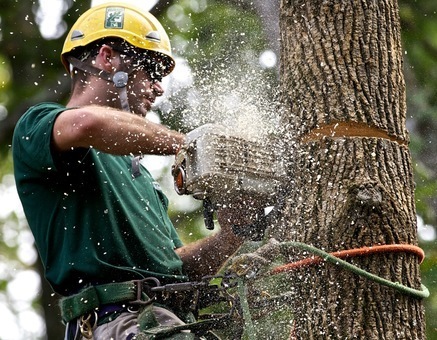 The Tree Care Industry Association (TCIA) offers certification in safety training, and is in the forefront of investigating tree worker accidents that lead to injury and fatality. This is not done out of morbid curiosity, but to create more stringent guidelines that will ultimately save lives. Value: When it comes to pruning and live tree care, there is no comparison. Going with an unskilled operation will cost you in the loss of value caused by damage to your trees. Investing in the early nurturing of trees ultimately saves countless dollars and heartaches. Preventative maintenance saves property owners the investment that must be made to replace trees lost in their prime. Caring for trees is a supreme responsibility, which, if taken seriously, leads to well-informed staff making knowledge-based decisions. If you hire an inexpensive tree crew to do work on your property, the intention is to save money. You may save money in the short term, but it may end up costing you in the hassle of house and lawn repair, damaged infrastructure like fences or pavement, or damage to surviving landscape and trees. You may think you are supporting an honest working guy, but in reality you may be supporting unsafe and unprofessional operations at the expense of those companies who do higher quality work and treat their workers fairly. Finally, you may intend to hire a sound and reputable company and find out that they are not what they seem. Ask for certification or at least records of safety meetings or related training, and be sure to ask to see current insurance documentation. It is a fact that you can be sued if an uninsured tree worker hurts himself on your property, even if they tell you they are insured. Where do I find an Arborist? You can find an arborist or verify an arborist's credentials on the International Society of Arboriculture's Trees Are Good website. Protect yourself....and your trees: Ask for proof of certification and proof of insurance when hiring an arborist. We recommend only using certified arborists to work on your trees. They will have the knowledge, experience, and necessary protection to ensure your tree work is done correctly and safely.